Five lawyers from the Chicago law firm of Corboy & Demetrio have been selected by their peers for inclusion in The Best Lawyers in America, 2012 Edition. Corboy & Demetrio is the only personal injury law firm in Illinois with five attorneys chosen as Best Lawyers in America. Thomas A. Demetrio, Philip Harnett Corboy, Jr. and Michael K. Demetrio were selected as Best Lawyers in the area of personal injury litigation. David R. Barry, Jr. was selected in the Best Lawyers category of medical malpractice Law. Rene A. Torrado, Jr. was selected in the Best Lawyers category of commercial litigation. All five are partners at the Illinois law firm with long records of success in representing victims. This is the 25th consecutive year that Thomas A. Demetrio, a founding partner of Corboy & Demetrio, has been chosen for Best Lawyers. Mr. Demetrio was also selected as Medical Malpractice Lawyer of the Year for 2011 by Best Lawyers in America. Mr. Demetrio has settled or litigated cases on behalf of his clients in excess of $1 billion. Corboy & Demetrio attorneys are routinely selected among the best of the best. Eleven firm partners and two associates, more than any other personal injury firm in Illinois, were selected as members of the Leading Lawyers Network, a peer reviewed network which recognizes only the top 5% of all Illinois lawyers. Thomas Demetrio was further honored by being selected as one of the Top Four of all Illinois Consumer Lawyers in 2011, as well as one of the Top Three plaintiff personal injury attorneys in the state. Eleven Corboy & Demetrio partners were selected Illinois Super Lawyers for 2011, more than any other trial firm in the state. 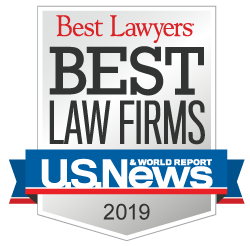 Also, the nationally prestigious Lawdragon has selected 11 Corboy & Demetrio partners in the Top 3000 attorneys in the country, more than any other personal injury firm in Illinois. Thomas Demetrio and Patrick Murphy were selected to be included in the Top 500 lawyers nationwide.